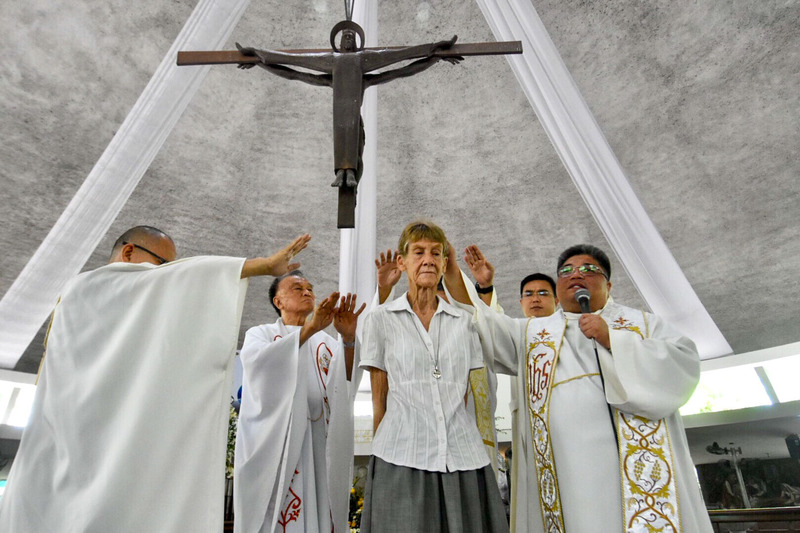 ASIA/PHILIPPINES - Expulsion overturned: the Australian Sister Patricia Fox will be able to continue her missionary work Manila (Agenzia Fides) - The Philippines justice department, with a provision issued on June 18, has overturned an order for the deportation of Australian missionary nun Sister Patricia Fox, from the Sisters of Our Lady of Sion. As Fides learns, the 71-year-old religious, who has taken care of the poor especially in rural areas for 27 years, welcomed the news with joy, along with her entire congregation and the Catholic community. Her visa, for pastoral reasons, has been renewed and she may remain in the country. When asked by Fides, the nun said: "I will continue to give my life for the indigenous peoples, for the poor in urban areas and for the oppressed farmers, I will continue the missionary work because this is my life, it is my mission". Sr. Patricia continues: "I live my commitment as an urgency to bring the Gospel and as a mandate of the Church, which sends me on a mission to the suburbs". On 25 April, at the request of Filipino President Rodrigo Duterte, the Immigration Office Sister Fox’s visa was revoked, ordering her to leave the country within a month for her alleged involvement in "political activism". The religious appealed to the Ministry of Justice and was allowed to stay in the country pending a ruling on her case. Among the accusations brought against the religious were some photos - taken during a visit to a prison in the southern Philippines - that depicted her with a banner that read "Stop the killing of peasants". The nun was also involved in an investigation of human rights abuses committed against farmers and tribal peoples in the southern Philippines.